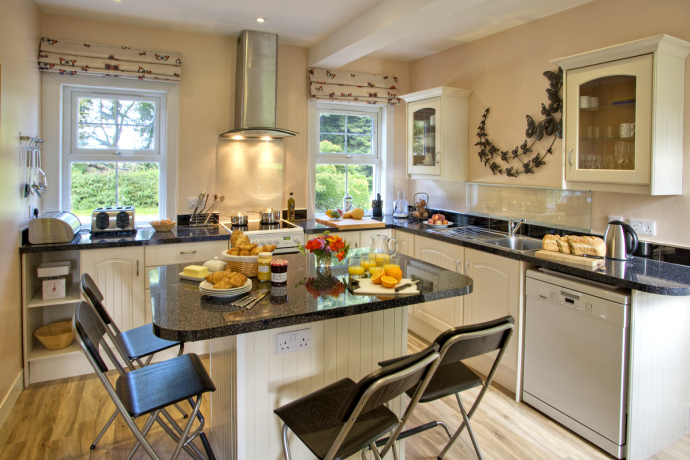 The Beacons Cottage was refurbished to 5-Stars standard in 2012. 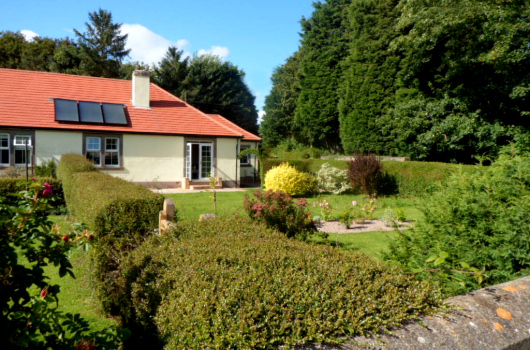 It is the end property of four terraced cottages at Ross Farm and enjoys a large, private garden. 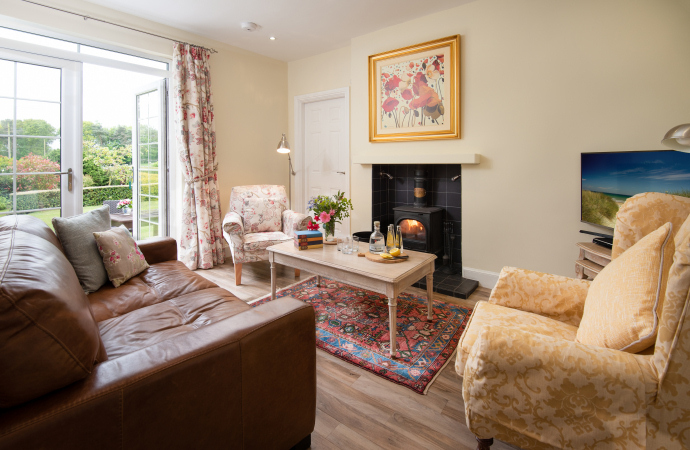 With a cosy wood-burning stove, a contemporary kitchen and a luxuriously appointed master bedroom suite, it offers superb self-catering holiday cottage accommodation for a family holiday in Northumberland. 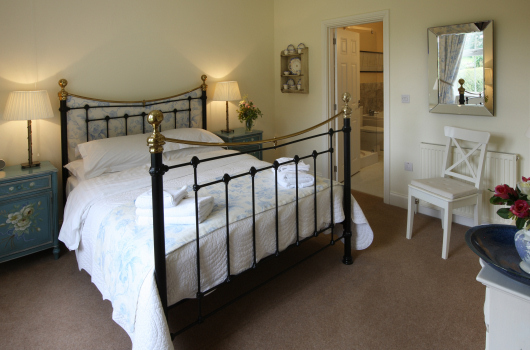 The Beacons Cottage sleeps four. The accommodation is on one level. 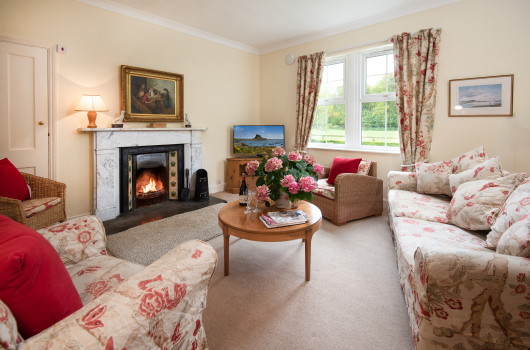 The comfortable sitting room features a wood-burning stove (fuel provided), dining table, Freeview television, DVD player, radio and ipod dock. There are large south-facing French windows that open on to flagged steps leading to a private lawned garden. 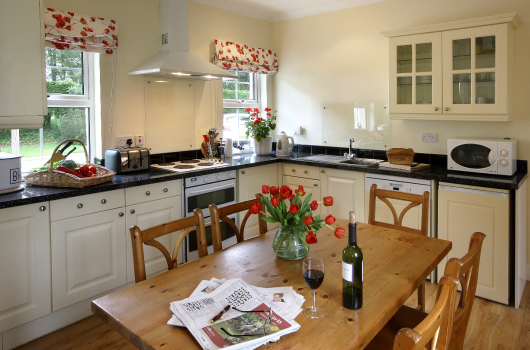 Fully equipped kitchen with fridge, dishwasher, oven / hob, and central island. Adjacent utility room with freezer, washing machine, tumble drier and clothes rack. 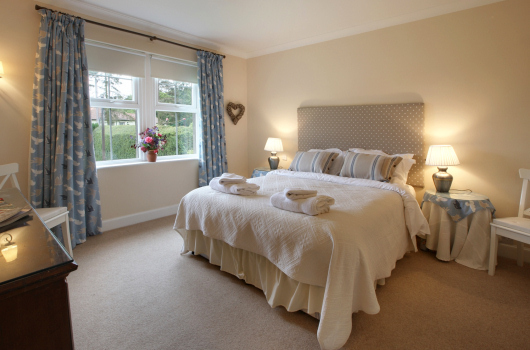 Master bedroom with en-suite, king-size bed and freeview television. 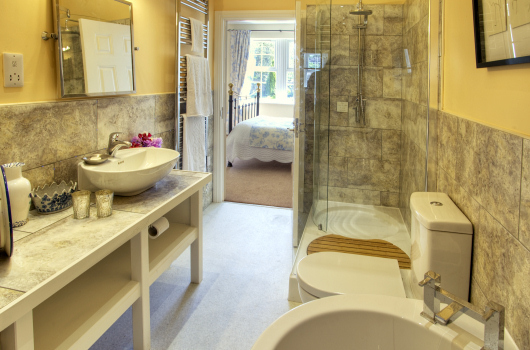 The en-suite has a bath and a separate walk-in shower. 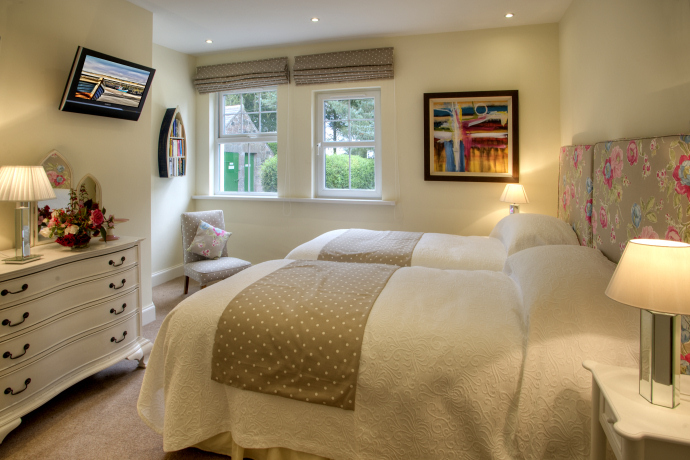 Second double bedroom with adjacent bathroom (with bath and shower), king-size bed (or twin beds on request), and Freeview television. Two parking spaces and a separate shed for bicycles. The Beacons Cottage is named after the imposing 19th century, 80 feet tall, stone pillars built on land at Ross that gave guidance to sailors navigating the harbour at Holy Island.